Since the outbreak of the financial crisis in 2008, the European machine tool industry has been plagued by the credit crunch and the increasingly limited financing channels. The economic uncertainty has impaired corporate investment enthusiasm. China's machine tool export ranks eighth in the world. The European market accounts for 24% of China's total machine tool exports. The market size is approximately US$600 million. Europe is an important market for Chinese machine tool exports. Schaefer said: China's machine tool procurement will therefore continue to rise, and is expected to increase nearly 12% in 2013 to reach 38.1 billion US dollars, almost every user industry is driving the market. European machine tools have always been one of the world's major producers. In 2012, the value of the European machine tool industry was 22.2 billion euros, an increase of 6%, and the export value reached a record of 18.8 billion euros. However, in 2013, as a major component of the machine tool industry in Germany, the number of orders in the first quarter decreased by 19% compared to the same period in 2012. Schaefer, general manager of the German Machine Tool Builders Association said that at present, China exports of machine tools ranked eighth in the world, accounting for 24% of the total European market of China's machine tool exports, the market size of about $ 600 million, Europe is an important Chinese machine tool exports market. It is expected that in 2013 China's machine tool consumption will increase by 12% to 38 billion US dollars. Relevant data show that the scale of the international machine tool market has more than doubled in 20 years, reaching about US$86 billion in 2011. Since the turn of the century, the annual consumption of machine tools has increased by an average of nearly 10% (in U.S. dollars). The main driving force for growth came from Asia. In 2011, three-fifths of international machine tool production flowed into the region. It is expected that the investment in large-scale infrastructure in 2013 will boost China's economic growth, especially investment in high-speed railways, urban rail transit, airports and grid expansion. The process of modernizing Chinaâ€™s industrial infrastructure has accelerated, and the demand for efficient modern manufacturing technologies has increased. China's 12th Five-Year Plan focuses on sustainable development, efficient production structure and processes, and modernization. Machine tools play a crucial role in all three aspects. 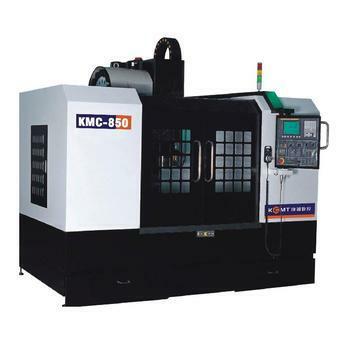 It is expected that Chinese users' investment in machine tools will increase by 16 in 2013. %, the increase in 2014 will be even higher. Schaefer said: China's machine tool procurement will therefore continue to rise, and is expected to increase nearly 12% in 2013 to reach 38.1 billion US dollars, almost every user industry is driving the market.